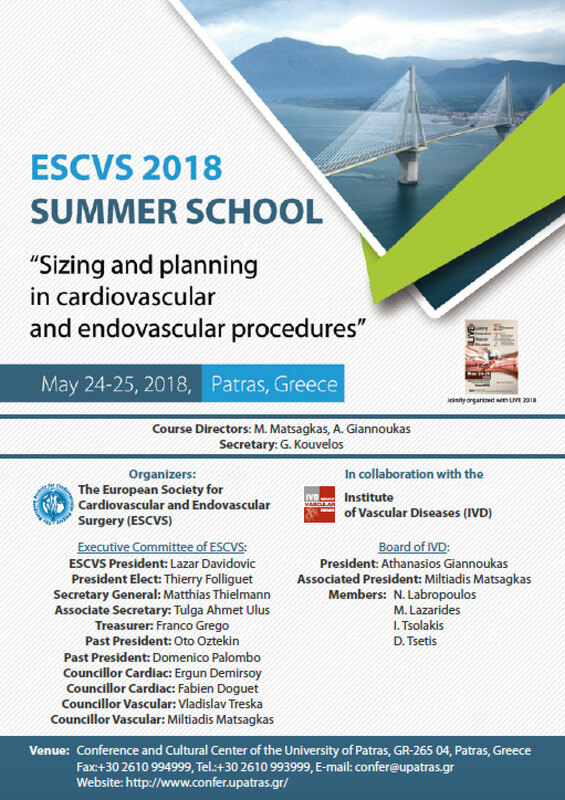 This year’s ESCVS SUMMER School entitled SIZING AND PLANNING IN CARDIOVASCULAR AND ENDOVASCULAR PROCEDURES will be held in Patras, Greece, from 24th to 25th May 2018. 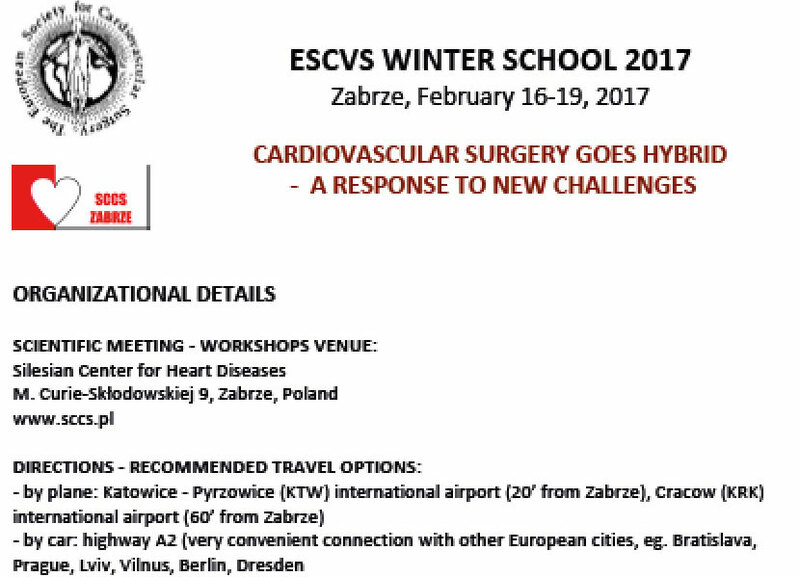 The aim of the summer school is for participants to get acquainted with all aspects of surgical sizing and planning before and during the procedures in cardiovascular and endovascular surgery. Other interested participants will be able to apply until the maximum number of applicants is reached. Interested participants, younger than 35 years of age, are invited to apply on info@conferre.gr with their CV and ID copy (age proof). Application Deadline: 1st of May!